The firm was established as Cantrell and Cantrell, PC by Bryan Cantrell and his father Don Cantrell in 2001. Lanny Ray joined the firm as Managing Partner in 2003 and Hans Barcus joined the firm as a Partner in 2005. Bryan, Lanny and Hans bring their years of experience and expertise to each of the cases that the firm handles. The partners of Cantrell, Ray & Barcus work as a team and strive to bring each of our clients the best results possible. I hired Mr. Ray to represent me in my divorce. He and his staff are just amazing. The initial consult was emotionally difficult for me but Mr. Ray and his paralegal Autumn treated me like a friend they had known forever. I left that meeting feeling confident I had chosen the right folks to handle such an important event in my life. Throughout the whole process Mr. Ray was very informative. He does not lie to you about your chances at the Courthouse. He was very straight with me even when the pill wasn't easy to swallow. Mr. Ray was fantastic in the Courtroom. He asked all the right questions and proved the other side lied numerous times. Thankfully, I am now divorced and FREE AT LAST thanks to my Spousectomy performed by Mr. Ray. 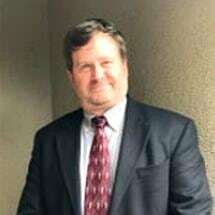 I was referred to Lanny when I found myself needing a great attorney for family court. I am a father of two amazing children. My children were taken to another state by their mother. I had not had contact with them for a few months when I met with Lanny and his paralegal. With Lanny assisting in Texas and the help of another lawyer in the other state I was able to be reunited with my children. Lanny fought for myself and my children. Thankfully, I now have custody and am able to provide a loving, safe and stable environment that my children deserve. I refer to him and his office as super heroes. As applicable as that statement is of them it might be an understatement too. If you find yourself needing help, they really can. if you need a team that cares they truly do. Lanny was an excellent attorney, and resolved every issue quickly. He communicated everything with us, and helped us get our family law case taken care of quickly. I highly recommend him as an attorney. I can't say enough good things about Lanny Ray and his team, I remember the first time we spoke and the consultation we had and how refreshing it was to feel like we were talking to someone that truly cared about my brother’s legal situation. I'm so thankful for not only the compassion but also the honesty during our initial talk. He wasn't telling us what we wanted to hear but more so telling us what expectations we should have based on which route my brother was to choose. He kept that same standard throughout the entire case as well. Lanny was always reachable and we had a great line of communication from phone calls, text, or emails at pretty much any time of the day. Always ready and willing to answer questions big or small and talk through your case so that you'd feel comfortable. He was also very thorough in his approach and his explanations of the legal processes. So, we never felt out of touch in what was going on in our case. He was always punctual and prepared (if Autumn is on vacation you will have to fix his tie) and he always made sure we were on the same page. Although there were plenty of times where I felt my brother wasn't being treated fairly in his case Lanny kept things in perspective for us and I would genuinely feet his disappointment and frustration when these types of issues arose. Honestly, that was huge for me because I didn't feel like we were in this alone or that it wasn't important to him as well. Lanny was flexible and understanding with me and always provided the right kind of input we needed to get through such a mentally and emotionally draining time. We put our trust in him fully especially when we would come to a crossroads on issues and he never led us astray. I could never truly repay Lanny and his amazing team for everything he's done for my brother and this recommendation is from the heart. Last thing, when you leave his office you have found family you didn’t realize you had and they are always just a phone call away! Lanny Ray was referred to me as the attorney I should use for my divorce. I met with him and Autumn and felt confident going forward that they were the right fit. Turns out I was right and now I am a single father of a 10 yr old little girl with primary physical custody with child support. And my ex never drank, smoked, or did drugs so if you are a father fighting for custody I am proof it's possible to come out on top with Lanny representing you. I would refer his office to anyone. Thanks Lanny and Autumn! Mr. Ray was a God-send for our case! He was thorough and articulate in gathering information and representing the best interests of our child in a very high-conflict divorce/custody case. I was witness to his high level of integrity and tenacity during our trial and was moved to tears by his closing statements because of how aptly he conveyed to the judge what was of highest importance to us in regards to outcome. He also has the best staff, Autumn is one of the most honest and caring people I know. She helped us stay positive and hopeful. We would highly recommend Mr. Ray to anyone needing an attorney.